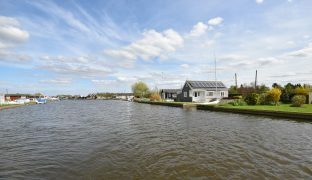 A striking and unspoilt detached riverside bungalow located close to the staithe, occupying a generous south west facing plot with stunning views. 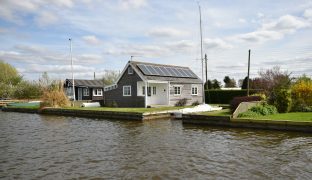 Retaining many of its original features, over 60ft of river frontage, and a 32ft long mooring dock. 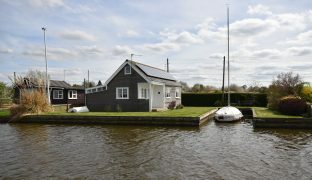 A striking and unspoilt detached riverside bungalow set on the banks of the River Thurne close to the staithe and Repps with Bastwick. Thought to date back to the 1920s and full of charm and character, retaining many of its original features. 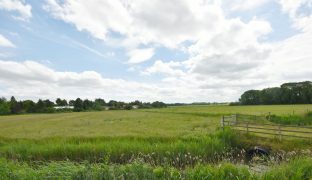 Occupying a generous plot with stunning views. 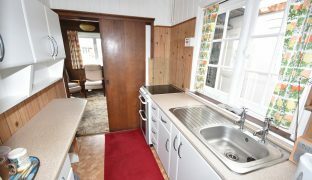 This attractive cedar clad bungalow offers accommodation that consists of an entrance hallway, bathroom with separate w/c and shower, 20ft long kitchen/dining room, dual aspect sitting room, two double bedrooms and an incredibly useful fully boarded loft space. 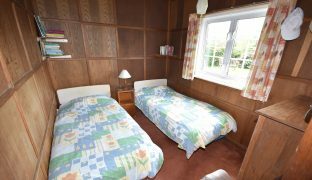 Other features include stunning original wooden panelling throughout the sitting room and bedrooms, with porthole windows to both bedrooms. 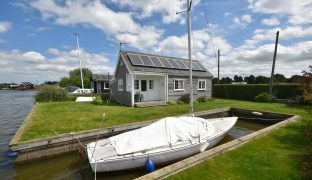 A generous south west facing plot with over 60ft of river frontage, including a 32ft long mooring dock. 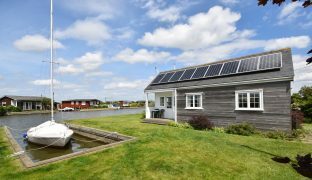 Sealed unit double glazing, electric heaters and solar panels providing an annual income of approximately £800. 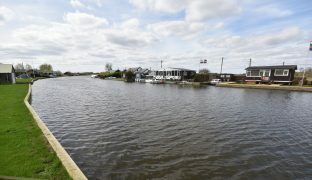 Located close to the staithe at Repps with Bastwick, ensuring that parking and vehicular access are only a matter of metres away. 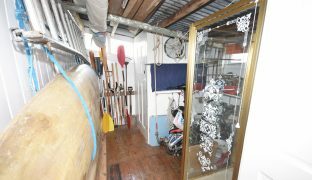 Entrance Hallway: A long and useful area currently housing tools and canoes with an exposed wooden floor. Shower Cubicle. Cloakroom: Low level w/c, panelled door. Bathroom: Wash basin, bath, window to side. 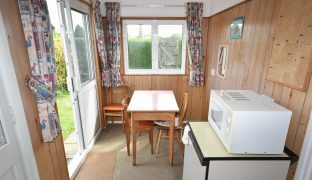 Kitchen/Dining Room: 20’3″ x 6’0″ – Dual aspect with sliding patio doors to the rear. Range of wall and floor mounted storage units with sink unit and drainer, panelled ceiling, down lighters, electric cooker point. Loft access with ladder. 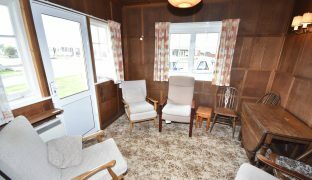 Sitting Room: 10’2″ x 10’0″ – Completely clad in the original wood panelling, dual aspect with windows to front and side and a part glazed door out onto a coved verandah offering impressive views out over the River Thurne. Wall lights, sliding doors. 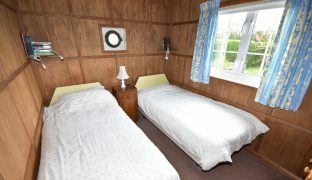 Bedroom: 10’0″ x 8’0″ – Original wood panelling throughout. Window to side with river view, porthole, sliding door. 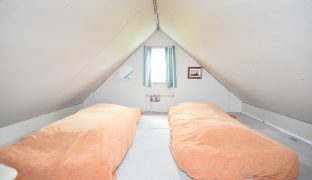 Bedroom 2: 10’0″ x 7’10” – Wood panelled ceiling and walls, window to side with river views, porthole, panelled door. 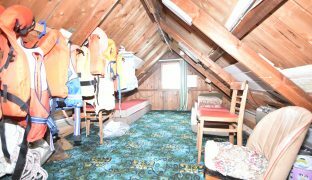 Loft Space: 30’0″ x 10’0″ – An incredibly useful area, fully boarded with windows to both gable ends, divided into two loft rooms. 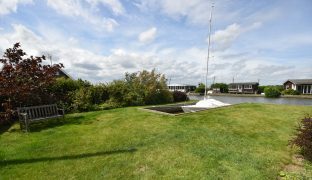 Enclosed by high mature hedging and access via a gate, the generous lawned plot benefits from a sunny south westerly aspect with picturesque river views and quay heading providing two side on moorings extending to 43ft and 9’6″ respectively with 32ft x 10ft private mooring dock. The raised and covered verandah with awning offers the perfect position to sit back and enjoy the constantly changing view.